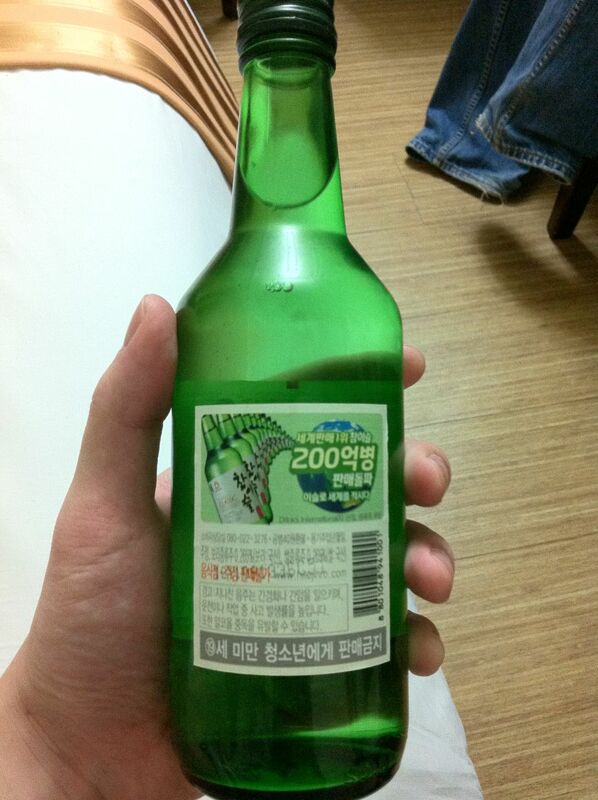 One thing I can tell, Korean beer is superb! 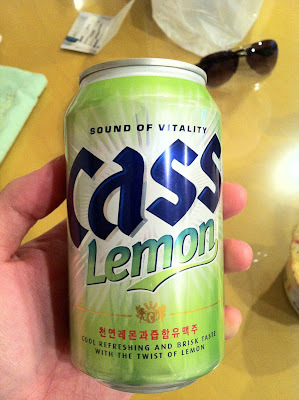 Not only it is cheap, the taste and the feel is so smooth that you can easily drink few cans without knowing it. 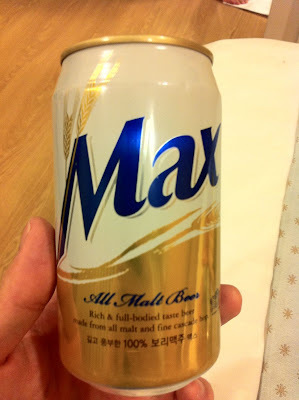 I tried various beer every night while I was in Korea, yes, I mean EVERY NIGHT! 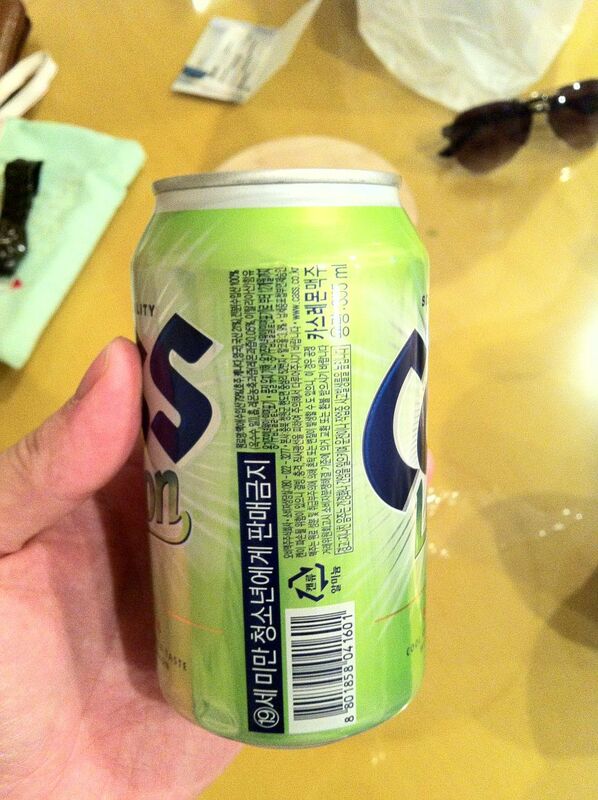 It is easily accessible via any 24 hour convenient store. On top of that, it was winter time during my trip, so imagine hiding yourself in the blanket with your television on, and you lie down, enjoying sips of a cold Korea beer. 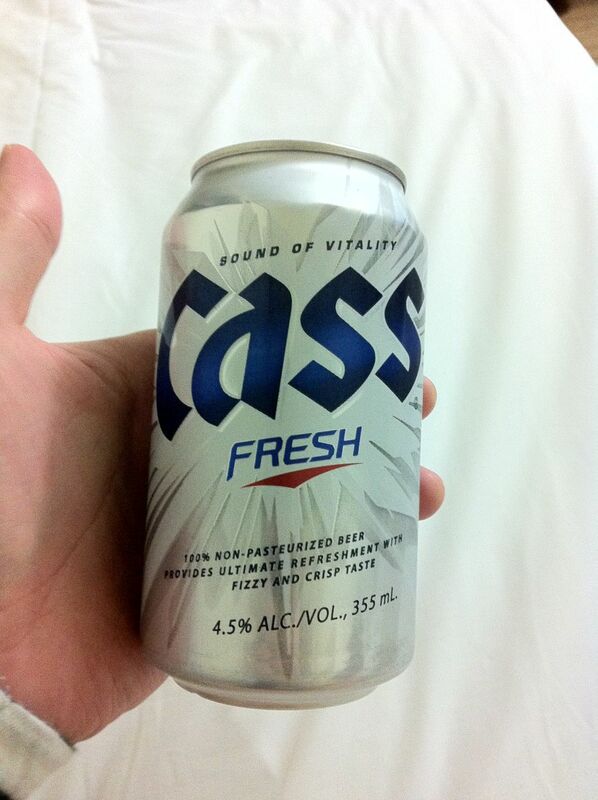 This is my favourite beer. Cass Beer with Lemon flavour. Max Beer, can't really remember the taste, but having said that, it is a good beer. Cass Beer, Fresh and Original taste. 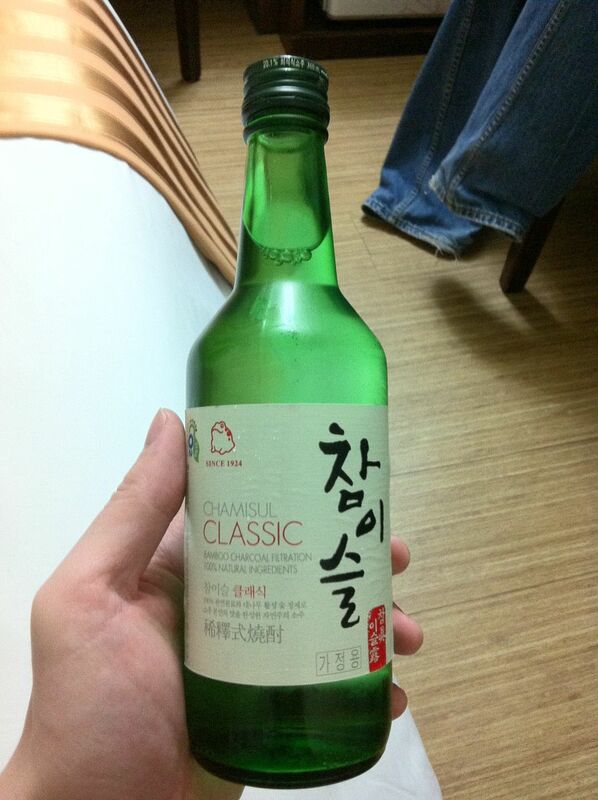 This is the classic 'ShioJiu' that we commonly see in the Korean Drama series. The taste is ... quite horrible, alcohol content of about 21%. 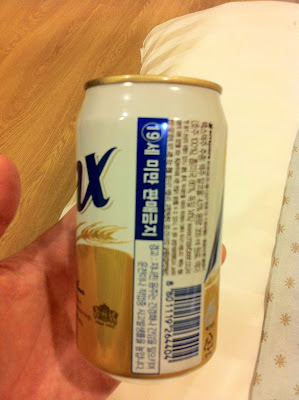 All the beer I mentioned above cost about 1500won(couldn't recall the exact price, but its roughly there), or about RM3-5 per can. As for 'ShioJiu', it cost only 1150 won, which is about RM3.00+.